Contributory negligence and comparative negligence are legal doctrines used by courts to assign fault for injuries sustained in accidents. These doctrines are also used in the calculation of damages. Fault is a key issue when someone has been injured in an accident because it determines liability. Depending on the circumstances, fault may be attributed to the defendant alone or to both the defendant and the plaintiff. One of the first questions to be asked when an accident occurs is "Who was at fault?" In many cases, the plaintiff and the defendant disagree as to who caused the accident. Consider the following example. Bill is the owner of Classic Computing, a computer services company. Bill is at a restaurant with Jeff, a manager at ABC Manufacturing. ABC needs a new server, and Bill is trying to convince Jeff to hire Classic Computing to do the work. Bill is nervous and overindulges in alcohol. After lunch, Bill and Jeff head back to ABC's headquarters to continue their conversation. While walking to Jeff's office, Bill is feeling tipsy and inadvertently stumbles into a bookcase. The bookcase tips over, injuring Bill. Bill files a lawsuit against ABC seeking compensatory damages for bodily injury. His suit alleges that ABC is liable for his injury because it failed to secure the bookcase to the wall. ABC counters that Bill caused his own injury by knocking over the bookcase. Had Bill not been inebriated, the accident would not have occurred. Both the contributory and comparative negligence doctrines affect a plaintiff's ability to collect damages for an injury if the plaintiff was partly responsible for his or her own injury. The doctrines differ in that one affords no damages to the plaintiff while the other affords some. Under the theory of contributory negligence, a person is prohibited from recovering any damages if his or her own negligence contributed to the injury. Recovery is barred even if the plaintiff was only slightly responsible for the injury. In the scenario described above, Bill would not be entitled to damages if ABC could show that he was even 1% responsible for his injury. 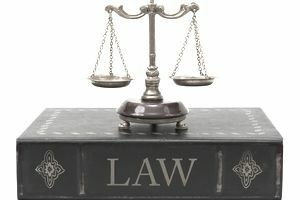 Before workers compensation laws were enacted, employers could use the doctrine of contributory negligence to fend off lawsuits by injured employees. Their efforts were usually successful since few employees could prove that their injuries did not result from any negligence committed by them. Nowadays, the principle of contributory negligence is generally considered too harsh. Many defendants can easily demonstrate that the plaintiff was 1% responsible for the injury. Thus, this doctrine has been abandoned in all but a handful of states. Instead of contributory negligence, most states have adopted the doctrine of comparative negligence. Under this legal theory, a person's compensation for an injury is proportionate to his or her degree of liability. An individual may be eligible for damages even if that person's negligence contributed to his or her own injury. There are two types of comparative negligence rules: pure and modified. About a quarter of the states in the U.S. follow the doctrine of pure comparative negligence. Under this doctrine, a person is eligible for compensation only to the extent he or she was not responsible for the injury. For example, in the Classic Computing scenario cited above suppose that a court finds Bill 25% responsible for his shoulder injury. The court would have awarded Bill $50,000 if he'd been sober when the accident occurred. Because he was inebriated, the court reduces Bill's award by 25%, his proportionate responsibility. One main drawback of pure comparative negligence is that it allows a person to recover damages for an injury for which he or she was largely responsible. Based on this theory, Bill could recover 1% of the $50,000 damages award ($500) even if he was 99% responsible for his injury. To address such situations, many states have adopted a doctrine called modified comparative negligence. About two-thirds of the states have adopted a modified comparative negligence rule. Under this type of rule, damages are awarded only for that portion of an injury not attributed to the plaintiff. However, compensation is allowed only if a person's culpability does not exceed a specified threshold. The threshold is typically 50% or 51%. For example, in the Classic Computing scenario, suppose that Bill sues ABC Manufacturing in a state that has a modified comparative negligence law. The state permits an injured person to recover damages if he or she was less than 50% responsible for the injury. If a court finds that Bill is responsible for 40% of his injury, Bill will be eligible for damages. His contribution to the injury (40%) is less than the 50% threshold. The amount of damages Bill will receive will be 60% of the damages he would have received had he not contributed to his injury. Now suppose the court finds that Bill is 60% responsible for his injury. In this case, Bill will not collect any damages. His degree of responsibility (60%) exceeds the 50% threshold. Laws in each state determine whether courts follow the principle of contributory negligence or some version of comparative negligence. These laws may be statutes (written law) or previous court decisions.